Last night on Monday Night RAW , Sasha Banks and RAW Women’s Champion Charlotte went 1 on 1 for the RAW Women’s Championship in the main event. This was the first time since December of 2004 that two women were in the main event since Trish Stratus faced off against Lita for the Women’s Championship. In my opinion Banks and Charlotte stole the show and once again the bar is set even higher for the Women to deliver all throughout the WWE. This match has Match of the Year caliber. I can watch these two women fight often because they always seem to deliver outside of their rough SummerSlam match. One of the highlights of this match was when Charlotte scaled to the top rope and didn’t do her usual signature which is a Moonsault, she added a twist to it..LITERALLY! Charlotte performed a corkscrew moonsault. Charlotte seemed to have this match won , especially after she hit a big boot to the face of Sasha but Banks kicked out. Sasha put her in the Bank Statement , Charlotte attempted to reverse the Bank Statement into a pin (like she did back at SummerSlam) but Sasha rolled through with the hold and Charlotte was forced to tap out. We have a new RAW Women’s Champion and for those that watched that match, you saw one hell of a match between the two women. All around the WWE Women’s Division has improved a ton since the Women’s Revolution. Who would have thought that February 23, 2015 when the Bella Twins faced Paige and Emma in a 30 second bout #GiveDivasAChance would begin to trend and WWE would actually respond. On July 13, 2015 the Women’s Revolution had begun, and what a long way it has come more than a year later. In addition the name WWE Diva had been dropped and now they are just know as Women, or the WWE Women’s Division. 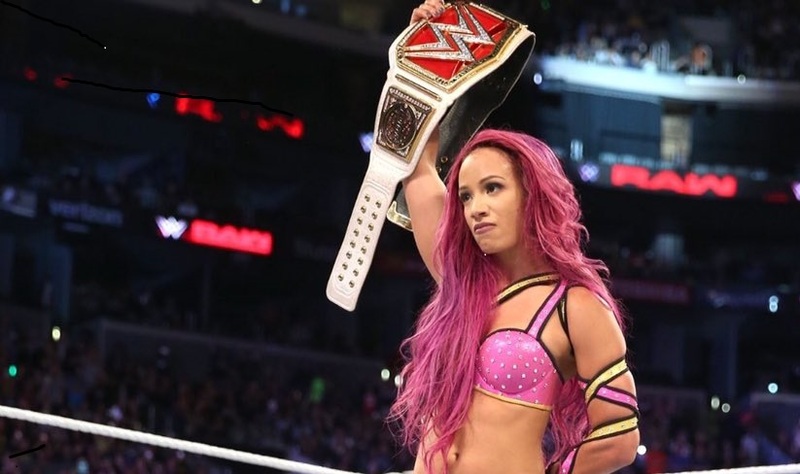 Congrats to @SashaBanksWWE for winning the #WomensChampionship in the main event on #RAW. Noone can ever take that distinction from you. And to finish it up Nia Jax has a response to Charlotte, Bayley, and new RAW Women’s Champions Sasha Banks. I guess the #WomensRevolution ONLY involves 3 women… ?don't get too comfortable #ImNotLikeMostGirls ?